The Bigsby B7 is a vibrato tailpiece designed for carved top guitars like the Gibson Les Paul and semi-hollow/thinline style guitars, it allows you to produce smooth and subtle tremolo/vibrato effects (depressing the arm 1/2" will lower the tone around 1/2 a tone), the string mounting bar rotates on low friction bearings ensuring the guitar returns to pitch. The arm swivels on its mount and so can be moved out the way if needed, it is held under tension and so stays in place when moved. Bigsby vibratos were the first successful design of tremolo/vibrato units and they have been producing the iconic designs for over 50 years, the B7 is still sand cast in the USA from lightweight aluminium and the whole unit is only 354g (12.5 oz). 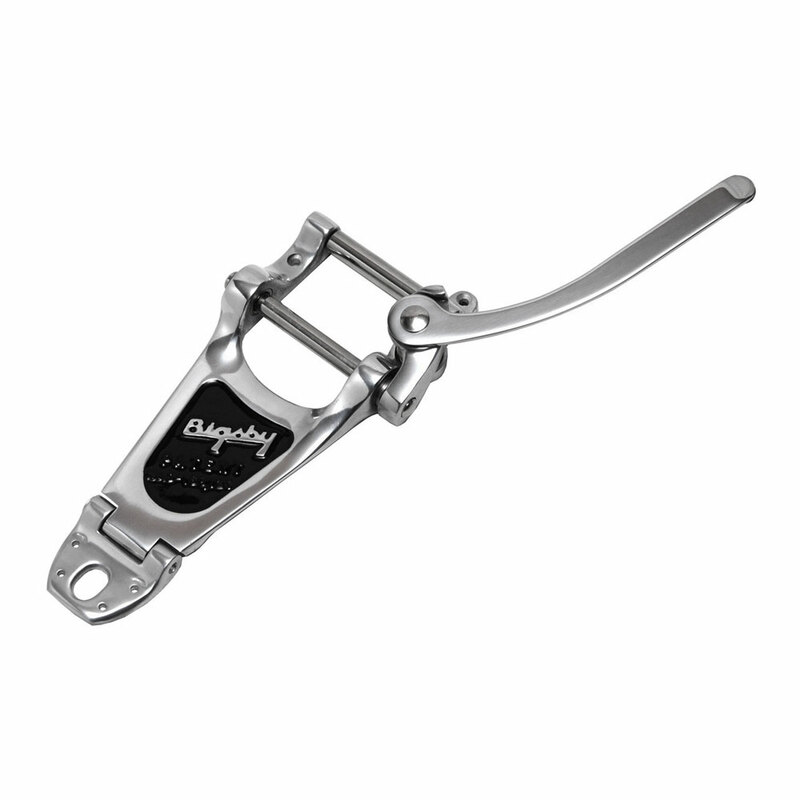 Bigsby vibratos can be fitted without modifying the guitar by using Vibramate parts which we sell separately.